I had dreams once you know. I'd write a screenplay one day I told myself. A screenplay so ground-breaking it would shock the world. A script so inspiring it would hoover up at the Oscars, make me the toast of tinseltown, and enable me to bed any Hollywood strumpet I could muster up the energy to bang. 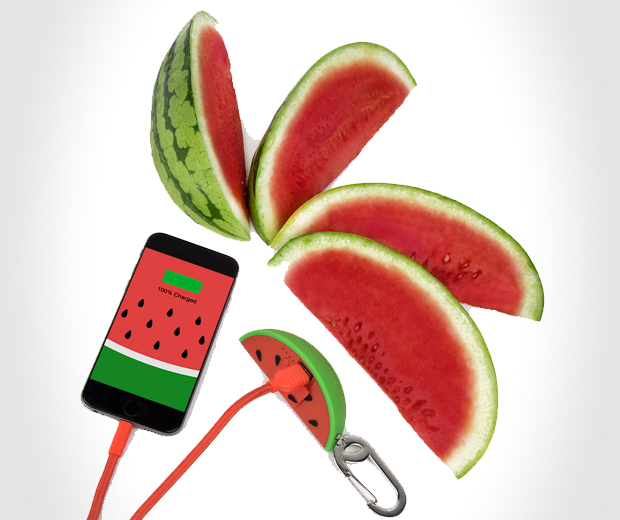 But now, instead of that, I've got to tell you why you should buy a Power Bank shaped like a f**king watermelon. Sigh. 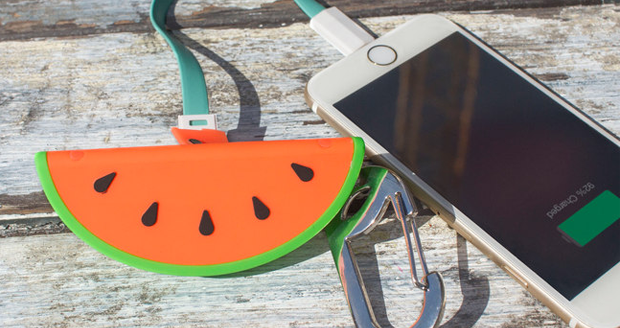 This Watermelon Power Bank has a 2500mAh battery, a clip to attach it to your bag, and it looks like fruit. There, happy? Now leave me alone while I contemplate the ever-decreasing likelihood of me ever achieving professional satisfaction.